I started this book simply to read the Sherlock Holmes meets H.P. Lovecraft story, ” A Study in Emerald,” which was recommended to me by my oldest son. Being a fan of Holmes stories and anything Lovecraft writes, I was looking forward to Gaiman’s interpretation. Suffice it to say that I liked the story enough to work my way through Gaiman’s complete collection, which was a worthwhile endeavor. For those not familiar with Gaiman, he is a prolific writer who made his name with comic books and graphic novels (The Sandman), but has branched into novels (American Gods, Coraline) short stories, CD texts (for Tori Amos), poetry, and almost anything else which strikes his fancy. In fact, one of the more interesting parts of this collection is his introduction, in which he gives the background on every piece of writing in the book. Many of these works started from invitations, and Gaiman seems open to taking on a variety of challenges. He is not always equally successful, but you have to admire a writer who so clearly likes writing. He is not afraid of stretching and trying something new. “A Study in Emerald,” which is a play on Doyle’s “A Study in Scarlet,” finds a doctor and Holmes meeting and taking lodgings, which eventually leads to the doctor’s discovery of Holmes’ unique skill as a detective. The story steals glances at some of other Doyle’s other stories, most notably “A Scandel in Bohemia,” but with a twist of the fantastic that screams Lovecraft at you. If I’m being vague, it is my attempt not to give too much away. As noted, I continued on and found several of the works to be outstanding, while others were simply there (e.g. “Instructions” and “Fifteen Painted Cards from a Vampire Tarot”). Others are very strong. “Closing Time” incorporates the old man telling a story motif into a terrifying story of childhood. “How to Talk to Girls at Parties” is a story which takes a mundane rite of passage for many young adults and turns it subtly into a story of horror. Gaiman’s strength in this area is to hint at the possible, at would could have been, but then take it in another direction. Although at times he is clumsy in his “gotcha” endings, at other times he has a subtly which speaks of true horror mastery. Gaiman also has a sense of humor, displayed in many of the writings, but played out best in “Sunbird,” a story of epicurean club enjoying a last meal. But the highlight of the collection is “The Monarch of the Glen,” which is subtitled, “An American Gods Novella.” American Gods is an excellent novel, and in this story Gaiman builds on the main character, Shadow. 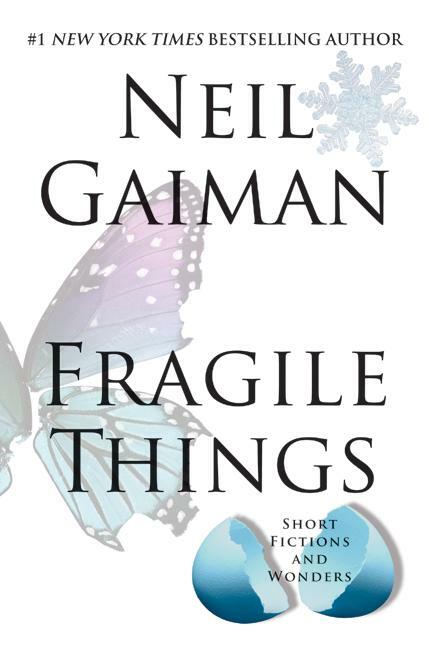 The story falters a bit as it hits a graphic section and Gaiman does provide another “gotcha” moment near the end, but overall it quietly builds a scenario with a reluctant protagonist who is as familiar with his weaknesses as his strengths. In fact, his ability to recognize his limits is his greatest strength and allows him to outsmart those who believe they have outsmarted him. The collection contains 31 stories, poems, and “other wonders,” so one will be hard pressed to like it all or dismiss it all. But is worth keeping nearby when a quick read is all that is available. This entry was posted in Uncategorized by derekemerson. Bookmark the permalink.